Take note that these are two programs, please read below for more details. We strongly encourage starting the submission form well before the deadline. Submit your work before the submission deadline 26 August 2018, 23:59 UTC/GMT. All forms must be completed, and all materials must be successfully uploaded by that time. The submission deadline will be strictly enforced. Please do not wait until the last minute to upload your files. The Technical Briefs and Posters Chair will use the Sorting Topic to assign your submission to reviewers who are best able to assess your work. Please be as accurate as possible when specifying it. Technical Briefs and Posters is dedicated to presenting new, unpublished work. Work that is under review elsewhere (for example, to a journal or another conference) cannot be submitted to the Technical Briefs and Posters program. Such dual submissions are widely considered unethical. Your submission must include the following materials and information. A 1-2 pages document describing your work in PDF format is required. Submissions that are more than 2 pages long or that are improperly formatted will not be considered. The submitted PDF must be self-contained, formatted according to the SIGGRAPH template for technical papers. Check the Instructions for Authors for submitting a poster and the affiliated 1-2 pages abstract. You will be assigned a Submission ID number when you create an Online Submission Form and this number will be used to identify your submission throughout the review process. In all other ways, the document must be in the final format. For instance it should not include the names of author on the work and their institutions, since the reviewing process is double-blind. Submissions that are more than 1-2 pages (Including the references) or that are improperly formatted will not be considered. One representative image (JPG) suitable for usage in promotional materials: All submissions should include a representative digital image that should be of the highest print quality possible, pixel resolution of at least 1500 x 1200 (at least 300 dpi at 5 inches wide, with depth proportional) or the highest possible screen grab. Images must be submitted in JPG format. Web Image: In JPG or PNG format max. 200 KB for website publication. Images: high-resolution images in one of these formats: TIFF, JPEG. PNG, BMP, GIF. Video: In QuickTime, MPEG-4, or DivX Version 5 (or later) formats. The total length of all videos should not exceed five minutes. Documentation: includes images, graphs, charts, and so forth. Supporting documentation should be in PDF format, should contain mostly captioned figures or tables. Poster abstracts, and in general any content that has an abstract as its primary documentation, can be up to two pages in length (1-2 Pages). The Posters Chair will use the Sorting Topic to assign your submission to reviewers who are best able to assess your work. Please be as accurate as possible when specifying it. 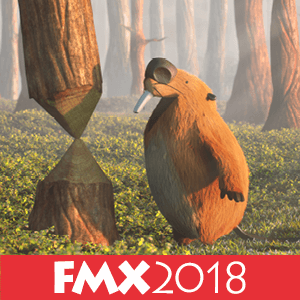 All Posters submissions will be reviewed by a jury of academic and industry professionals in computer graphics, vision, visualization, CAD, animation, games, HCI, interactive techniques, art, and related fields. The Posters Committee is responsible for conducting the jury process in order to set up a high-quality program, with attractive posters sessions. Authors of accepted technical brief may be invited to extend their work for journal publication in "Computational Visual Media", which is jointly published by Springer and Tsinghua University Press. The extended journal version is expected to contain at least 25% new material; see also this LINK for details on the related ACM policy. If your work is accepted as a poster, you will be required to prepare the final print-ready poster file following the specifications in the acceptance notification. Please note: The schedule to provide your final material after receiving the acceptance notification is very tight. We reserve the right to reject late submission of print-ready files. Please plan your personal schedule accordingly. For guidance, we have provided the vertical template in Adobe Illustrator format. You are welcome to use these materials for general formatting suggestions. However, your abstract must also conform to these updated formatting guidelines. For instructions about preparation and delivery of your final content for publications, see the poster format examples. Please carefully follow the instructions in the acceptance letter. You will be able to update your basic submission information and any final materials so that it can be included in the conference program and website. This information needs to be finalized within two weeks after receipt of acceptance notifications. Please be prepared to deliver your final versions of your information and work on or before these dates. Presenters are expected to cover their own travel costs, which are not covered by SIGGRAPH Asia. You can apply for a 25% discount per accepted submission via the submission system. One contributor per accepted poster. All work selected for the SIGGRAPH Asia Posters will be documented in the SIGGRAPH 2018 website and ACM Digital Library. Accepted Poster author will need to prepare a two-page abstract of your work for the ACM Digital Library as well as the physical poster to be displayed at the conference. You are welcome to submit auxiliary material along with the abstract. The deadline is absolute. Submissions that are in progress when the 26 August 2018 deadline passes, even if it's because our server has slowed down due to high load, will not be accepted. You should allow enough lead time to avoid this kind of problem. Two weeks will be given from acceptance notification to final materials due – 15 October 2018, 23:59 UTC/GMT. Revisions in this case should be minor unless exceptional cases which reviewers would then need to approve. Should I submit a digital version of the actual poster for jury review? No, this is not necessary. Poster submissions are evaluated based on their abstracts, supporting material, and research value. If you would like to provide a digital version of your poster, you may do so as a supplementary image. Can I include a supplementary video with my poster submission? Yes! If your submission has an interactive, animation, or simulation component, we strongly encourage you to submit a video demonstrating your work in action, as it may be very difficult to evaluate your work without this. Videos can be included as part of the poster presentation session. What does a 2 pages abstract submission look like? What does a print ready poster look like? Poster authors should prepare their documents according to the ACM SIGGRAPH formatting instructions. Remember: the jury will review the abstract, but the poster is what you will display at the conference. Will you print my submission or should I create the poster myself? The organizers will print the poster as well as display it on your behalf. What are the maximum dimensions of poster prints? Individual posters will be printed in A0 size in vertical only. The size should be 841mm x 1189mm, bleed of 3mm aside to the above. Please provide a final high-resolution PDF file suitable for print with minimum 300dpi. You will receive detailed instructions on how to prepare your final print-ready file together with your acceptance notification. A0 measures 1189 x 841 millimetres or 46.81 x 33.11 inches. In PostScript, its dimensions are rounded off to 3370 x 2384 points. Part of the ISO 216 standard A0 is part of a set or range of page sizes, called the ISO A or ISO 216 standard. This international standard is based on the German DIN 476 standard from 1922. A0 is actually often referred to as DIN A0. The Japanese have adopted the same range of paper sizes in their JIS P 0138-61 standard. The American alternative to A0 is the ANSI E-size, which is part of the ANSI/ASME Y14.1 standard. It measures 864 × 1118 mm or 34 × 44". If a poster has multiple authors, do we all need to stand by the poster during our session? During the session, the poster must be staffed at all times by at least one person. All of you do not need to stand by the poster throughout the session. In fact, you may wish to “tag team”, taking turns at your own poster and seeing the other posters in the session. Two of my poster submissions were accepted. Which one should I present? If at all possible, both posters should have a presenter. If your submissions have co-authors and they are attending the conference, please ask them to help present. If you are the only author attending the conference, you can present a different poster at each session. You may wish to leave a note on each poster indicating the session at which you will present it. Should I bring the poster with me? Or can I ship it to the event venue? SIGGRAPH Asia does not accept posters shipped to the convention center. The organizers will print the poster as well as display it on your behalf. I would like to give a demo during my poster presentation. Is this possible? Poster presenters are encouraged to demo their work during the poster sessions. How will my poster be presented at the conference? Where in the event venue will my poster be located? You will receive detailed information regarding the exact location of your poster at the event venue. Will tables be provided for each poster? No, there will not be any tables due to space constraints. My poster submission has been accepted, and I would like to give a demo of my work. Is this possible? Poster submitters are encouraged to demo their work during the pre-scheduled Poster Sessions using their own laptop equipment, in front of their Posters. Will I have an internet connection for my laptop? Wireless internet access will be available throughout the event venue. Will AC power be available for my laptop or other devices? We cannot promise that AC power outlets will be available for everyone. Charge your batteries before the session. Can I leave my laptop or other equipment there before or after the session? No! The poster sessions are in unsecured open areas. Take your laptop and all your gear with you. I have travel conflicts, and I cannot attend the conference. Can I still submit work to the conference? Yes, as long as one contributor per accepted poster is registered with a Full Conference registration and the poster can be presented by a representative of the author. If it is a collaborative submission, it is important that at least one of the authors attends the conference and presents the work. We expect poster authors to be present at the poster sessions during the pre-scheduled time periods.